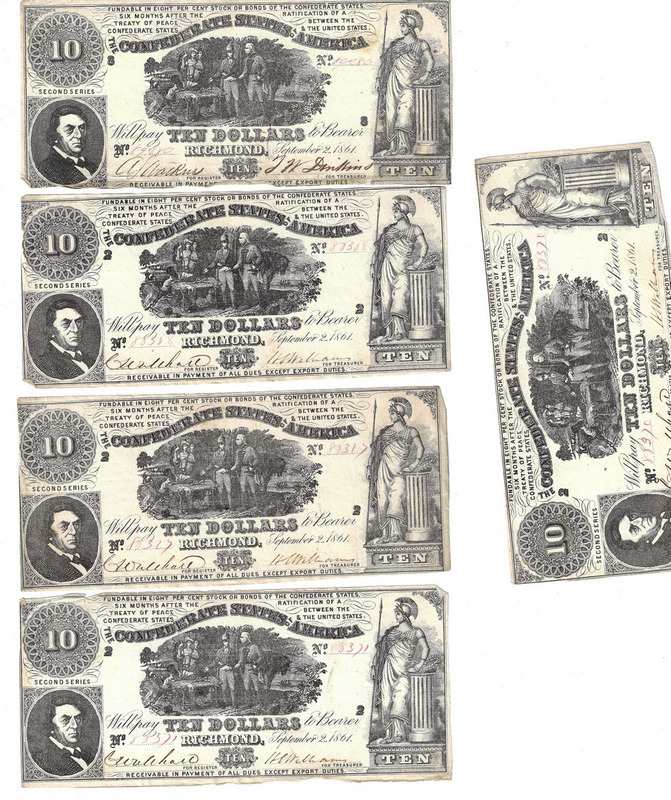 Twenty-four (24) Confederate States of America (CSA) $10 September 2, 1861 Bills, Series 2, including sequential serial numbers. Issued in Richmond, VA, printed by Blanton Duncan, Columbia, SC. Vignette of the painting General Marion Inviting a British Officer to Share His Meal by John Blake White, top center, portrait of Robert M.T. Hunter, CSA Secretary of State and Senator, lower left, vignette of the goddess Minerva, right. 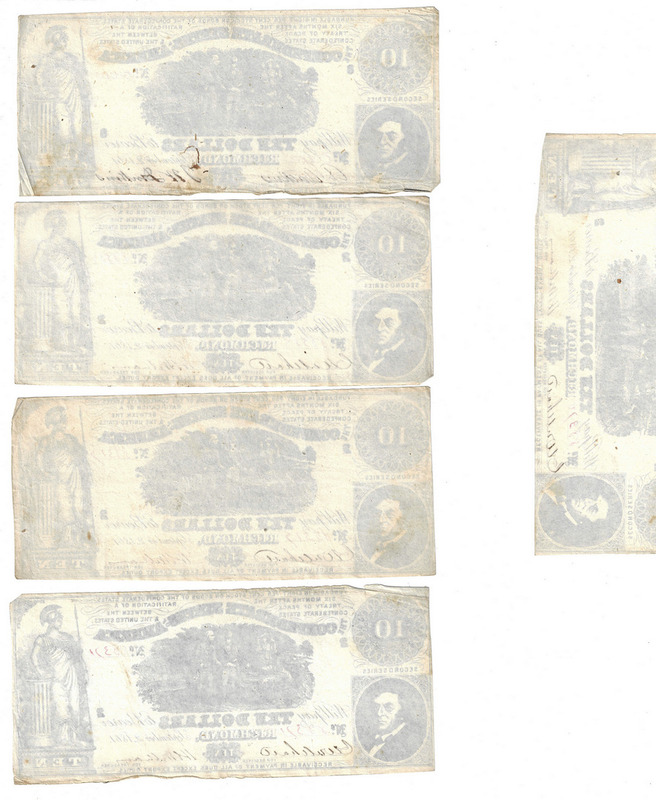 Serial Number 89275/ pp 8, sequential Serial Numbers 89279, 89280, 89281, 89282/ pp 8, sequential 89285, 89286/ pp 8, sequential 89288, 89289/ pp 8, sequential 89291, 89292, 89293, 89294, 89295, 89296/ pp 8, 80327/ pp 2, Serial Number 80330/ pp 2, 80333/ pp 2, 80335/ pp 2, sequential 88365, 80366/ pp 2, 80368/ pp 2, sequential 80370, 80371/ pp 2. For Register/For Treasurer signatures. 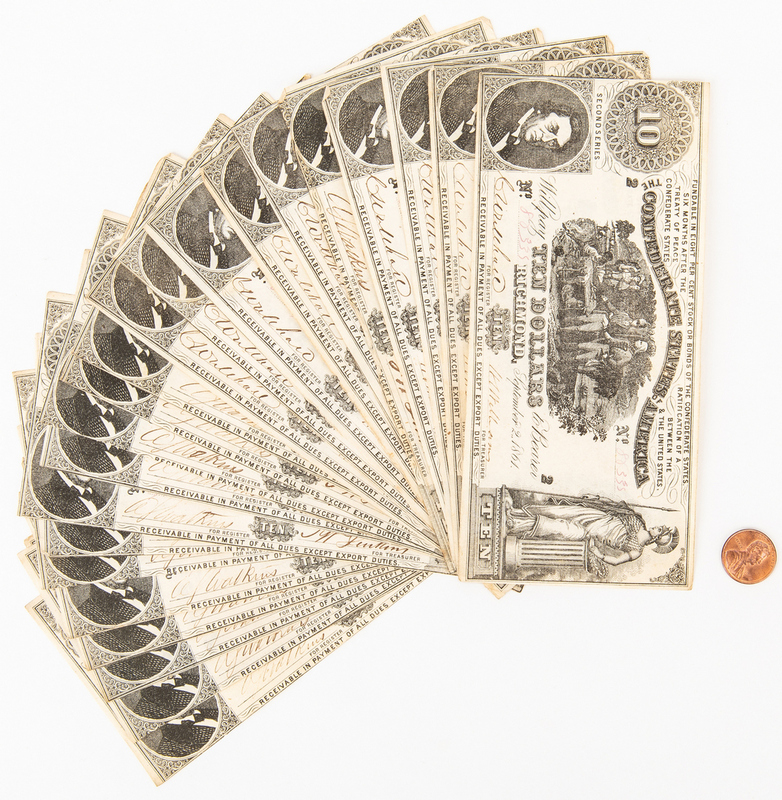 All bills approximately 3 1/4" H x 7 1/8" W. Mid 19th century. Provenance: the collection of Benjamin Dysart, Brentwood, Tennessee. 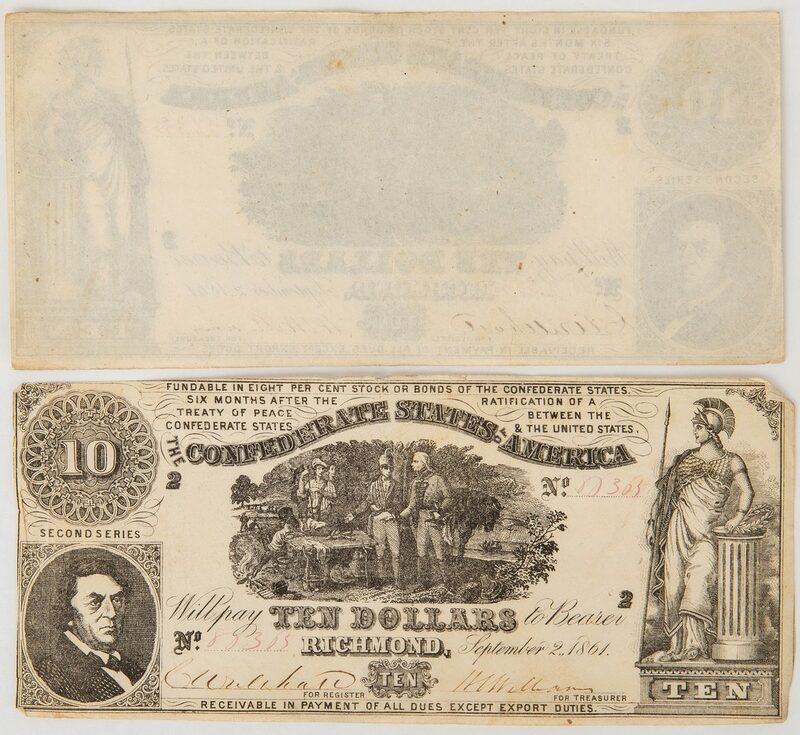 CONDITION: About Uncirculated condition. One "For Treasurer" signature is not present.